I hate doing opinion stuff. Who cares about my opinion? Probably not you. Certainly not my dog. I don’t often blog my opinion and it’s very rare that it makes it onto NotesIn9. It’s one of my rules actually. I’ve had enough and I’m no longer going to stay silent. Today IBM released information that they’re going to be supporting Domino to 2021. And yes it’s clear that the terminology is actually “at least 2021”. So there’s nothing to say it’s going to end in 2021. Ok that’s good news and some people took it as a very positive sign. Yeah that’s not going to work for me. I’m going to come out and disagree with this positive spin stuff. Yes Domino is “not dead” as they’re going to “support” it. And yes they’re going to move to some kind of “incremental delivery model“. So probably not a new “version” but fixes and features are still on their way. Who cares about the version number? Not me. No big deal there. But “incremental delivery” is only beneficial if you have stuff to deliver that people actually want and that adds value. I am just a customer. 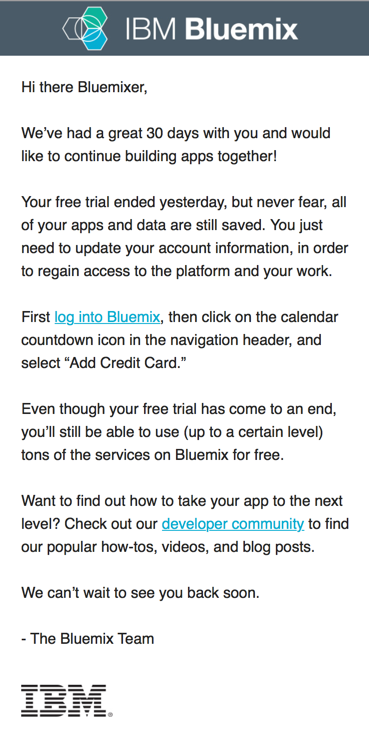 I don’t want “Bluemix” crap. You can’t have production XPages .nsf data on Bluemix. So it’s a waste of my time as an XPages developer. I don’t want some new email thing that shows pretty circle pictures of people I already know and many who probably would never add their picture anyway. I don’t want some new Chat tool that no ones going to use. I want to better work with what people are using tools like Slack, Skype, Skype for Business, and Sametime. Why did Google + not take off? Not a lot of people used it. They stayed with Facebook and Twitter. I WANT a modern Designer client and not the current one which is based off Eclipse 3.4 from 2008. 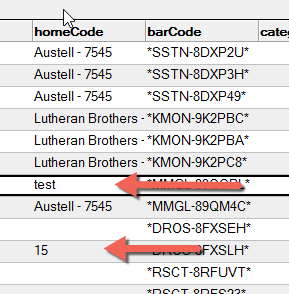 I WANT updates and improvements to the core XPages runtime and core .nsf database to build better apps. I WANT a built in Domino Java API so I can ask a question on Stack Over Flow and not be laughed from Java people for using obsolete Vectors. I WANT Source Control that actually works well, because by God everyone else has that so why can’t we? And by God it would be nice to see some IBM documentation that I didn’t have to produce myself! Domino is tough. It can run forever BUT support to 2021 (and beyond) is not a promise to fix things or add things you want. It’s simply a promise to take your phone call and not play Pokemon Go for the 5 minutes it takes to enter a ticket. Look at support for XPages. 9.0.1 is “IBM Supported”. BUT enhancements and bug fixes come out via the OpenNTF Ext. Library. Which really has better “Support”? The official IBM version which hasn’t been updated for years? Or the OpenNTF version that has had regular bug fixes and enhancements? I maintain that the “unsupported” project from OpenNTF has better real support then the “supported” product from IBM. No, Notes and Domino are not “Dead”. But they’re not flourishing and they’re not vibrant. What else is not dead? OS/2 it seems. Does anyone want to try to find a job with that “Not Dead” technology? To be continued on NotesIn9 201….